I’m unhappy with my childminder, what can I do? If problems arise with a childminder, it can be difficult to know how to resolve them. Knowing how to complain can help alleviate the stress of a challenging situation. I’m unhappy with my nursery, what can I do? What do I need to know about the Early Years Foundation Stage (EYFS)? Have you experienced poor service with a public service? 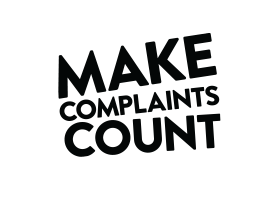 It's time to make your complaint count. Many people find it difficult to make a complaint to, or about, a childminder because it can feel like a more personal relationship than the one you might have with a nursery or school. However, if you're concerned about any aspect of your child's care or the care provided to other children, you have the right to make a complaint - and for this to be heard and resolved. In the first instance, it's usually best to speak directly to the childminder and discuss the matter informally. In many cases this is sufficient to resolve the issue. But if you still have concerns, or feel your complaint has not been properly addressed, you can seek further assistance. Most potential problems are best dealt with by discussing them directly and informally with your childminder. Often all that's required is for your childminder to be made aware of your concern so they can offer an apology and, if necessary, take steps to ensure the problem doesn't happen again. Though nurseries and pre-schools are required to have a complaints procedure, this is not the case with childminders. This means that, though many childminders will choose to follow a complaints procedure, it's not a legal requirement. If you're worried about your child's safety, you should contact your local council or local police immediately. You can contact your local police station by calling the number 101. If you wish to make a complaint, it's a good idea to check whether your childminder has a complaints policy in place as this will make the process more straightforward. As a general rule, it's best to make your complaint in writing, either as a physical letter or an email. The letter should contain the name of your child, the nature of the complaint and the date on which it was made. You can use our template letter if you need to make a complaint about your childminder. If after this stage you feel the issue has still not been resolved, you may wish to contact the regulator, Ofsted. Even if your childminder is registered with an agency, you should still try to speak directly to them in the first instance to resolve the issue informally. If you still have concerns after speaking to your childminder, you should contact the agency to find out how to make a complaint. The agency will likely have a complaints procedure in place that you can follow. If you're unsure how to contact the agency, you should be able to find their contact information on the certificate of registration that the childminder is required to have on display. These details will also be found on the introductory materials you were given or on the contract you signed when you first started using the childminder. There may be circumstances where you find that you need emergency childcare, for example if your childminder is ill or unable to care for your child at short notice. It is a good idea to know what your emergency childcare options are so you are prepared if there is a problem, such as an emergency nanny or another member of your family. If speaking to the childminder or agency has not resolved the issue, you can contact Ofsted through its online contact form to make a complaint. Ofsted regulates and inspects providers of early years childcare and has the authority to investigate complaints of a serious nature. You can also use our template letter if you want to make a complaint to Ofsted . We want to ensure that when you speak up, staff in public services listen and act on your concerns. That's why we want the Government to give people the ability to share their good and bad experiences of GPs, hospitals, schools and care homes to improve our local services.